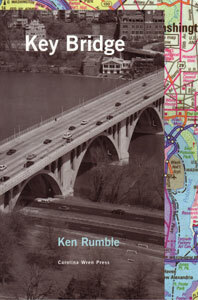 Ken Rumble’s first book, Key Bridge, was published by Carolina Wren Press in Spring 2007. A long poem about the history and geography of Washington, DC, sections of it have been published in journals such as Cutbank, Octopus, Wherever We Put Our Hats, Talisman, Carolina Quarterly, Cranky, and others. Ken Rumble reading from “St. Apples,” live at UNC Greensboro, October 9, 2007. Ken Rumble reading from Key Bridge, live at UNC Greensboro, October 9, 2007.